Looking for an Android smartphone with a huge battery that just won’t quit? You may want to check out Motorola’s newest entry in its DROID line of phones, the 5.2-inch DROID Turbo. The device will be available through Verizon Wireless starting on Thursday, October 30. The most compelling feature of the DROID Turbo is easily its huge 3900mAH battery. It promises to last a full 48 hours of mixed use on a single charge – approximately double the life of the Apple iPhone 6 Plus. And when time is a factor, you’ll be glad to know the DROID Turbo charges quick: You can get up to 8 hours of power our of a brief 15-minute charge when you use the included Motorola Turbo Charger. The DROID Turbo’s other features are no slouches, either. A 2.7GHz quad-core Snapdragon 805 processor powers the phone, the same chip found in the powerful Google Nexus 6 (also by Motorola). The 5.2” Gorilla Glass screen, meanwhile, delivers stunning 565 pixels-per-inch quad HD resolution, perfect for watching the 4K video shot from the Turbo’s 21MP camera. And lest you wonder, yes, the DROID Turbo comes pre-loaded with Android 4.4.4 KitKat, the latest build of Google's mobile operating system. 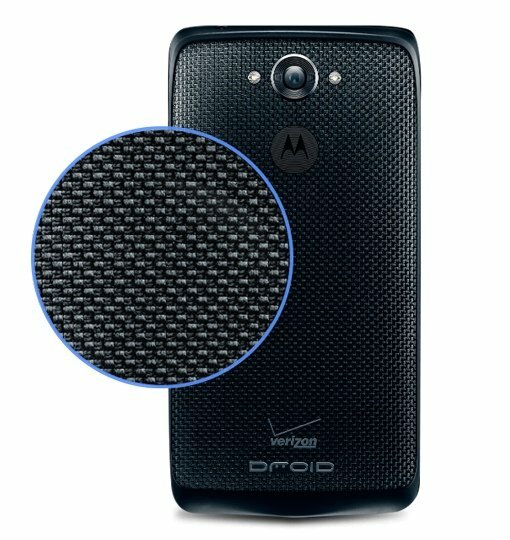 The DROID Turbo will be available with 32GB of storage in your choice of Metallic Black, Metallic Red and Ballistic Nylon (shown) colors for $199 with a new two-year Verizon contract. A 64GB version will be available in Ballistic Nylon only at a price of $249 with a two-year contract. To learn more about the new DROID Turbo smartphone, visit the Motorola blog.